For All You Voters; You Do Not Elect the President. Candidate =candidate (n.) c. 1600s, from Latin candidatus “one aspiring to office,” originally “white-robed,” past participle of candidare “to make white or bright,” from candidus (see candid). Office-seekers in ancient Rome wore white togas. The “Electoral college of electors” are the ones that actually determine who will be President – not any popular vote, poll, media, or statistic. An Elector is Not subject to exclusive legislative power of Congress. Almost anyone can become an elector. Did not have to be a registered voter or a party member. The total number of electors a state can have is equal to that state’s total representation in Congress. Less populated states such as Wyoming, North Dakota, and Vermont have at least one Representative and two Senators. Therefore, they have only three electoral votes. California, for instance, with 52 Representatives and two Senators, have 54 electors. The United States Electoral College is the body that elects the President and Vice President of the United States every four years. Citizens of the United States do not directly elect the president or the vice president; instead they choose “electors”, who usually pledge to vote for particular candidates but are not required to. Electors are apportioned to each of the 50 states as well as to the District of Columbia. The number of electors in each state is equal to the number of members of Congress to which the state is entitled, while the Twenty-third Amendment grants the District of Columbia the same number of electors as the least populous state, currently three. Therefore, there are currently 538 electors, corresponding to the 435 Representatives and 100 Senators, plus the three additional electors from the District of Columbia. The Constitution bars any federal official, elected or appointed, from being an elector. 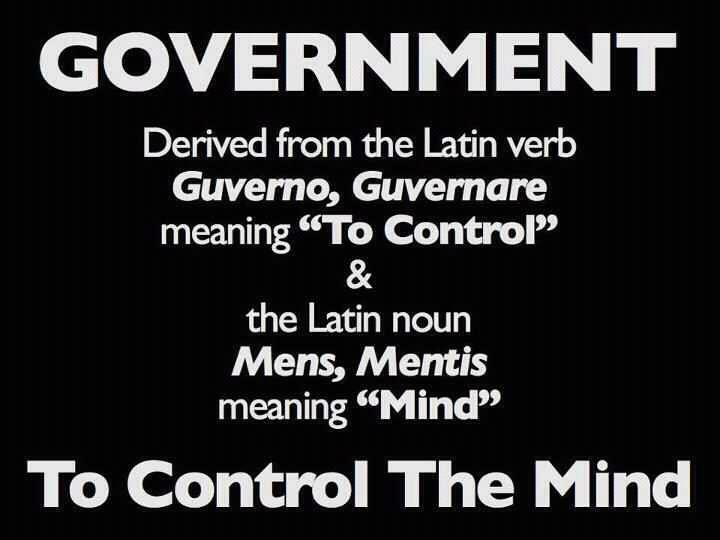 Politicians and the legislature of each state formed a new so-called government (de facto) and incorporated it into the corporate US commercial corporation a.k.a. UNITED STATES, Inc. and are therefore under its jurisdiction. This so-called government is actually a limited-liability corporation (Limited Liability Act of 1851), chartered in a private, military, international, commercial, admiralty/maritime jurisdiction, entitled “STATE OF…” as evidenced by, inter alia, the change in the seal and the flag and the creation of a new constitution. Each “STATE OF…” collects whole life insurance premiums, known as “taxes,” for the International Monetary Fund, based, inter alia, upon the Limited Liability Act of 1851 and the bankruptcy of United States of 1933. “Columbia” is a name for “Goddess of Creation, War, and Destruction” more known as the goddess of death and pain. She is derived from the imagery of Semiramis, wife of Nimrod, and Queen of Babylon. 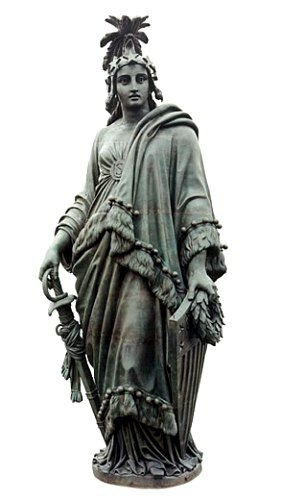 The statue on top of the Capitol building called the Statue of Freedom is actually Persephone, meaning “She who Destroys the Light”. She is the queen of the underworld. 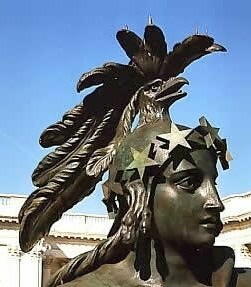 She is crowned with pentacles (pentagrams–stars with five points). When someone stands on something, it is usually an indication of ownership. Therefore, she owns the facility she stands upon. 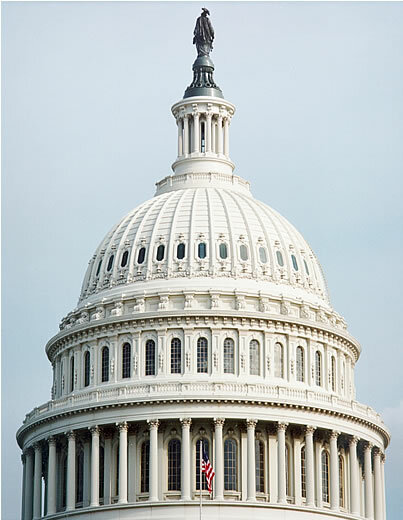 Although the dome on top of the Capitol building was not finished until 1868, the final installation of this statue on top of the dome took place on December 2, 1863. The original Capitol building, without the dome, was completed in 1826.